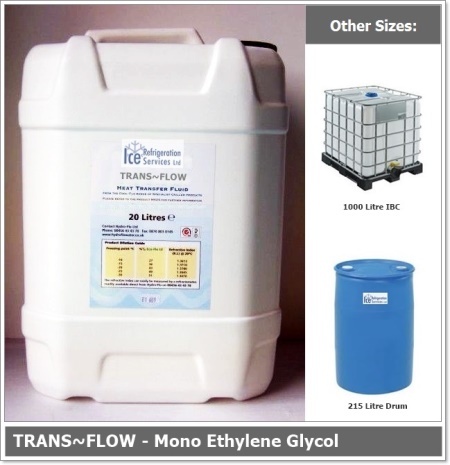 Mono Ethylene Glycol fluid formulated for ‘Non Food’ secondary refrigerant and industrial cooling applications. Premium Quality Mono Ethylene Glycol. 2 day delivery – mainland UK. Available in 20, 215 or 1000 litre container sizes. Designed to provide the highest resistance to degradation, scale, bacterial growth and corrosion when toxicity is not an issue. 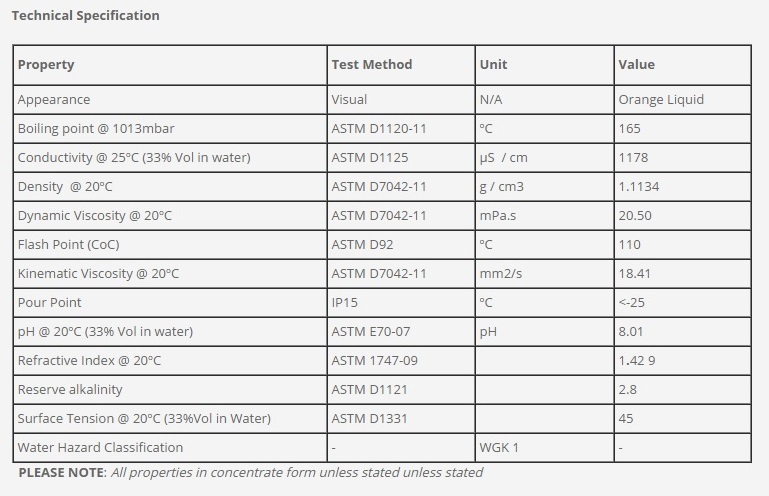 Every fluid supplied by ICE has been tested and exceeds the ASTM D1384-05 corrosion test standard. Mono Ethylene Glycol formula will provide excellent freeze protection, cleaner circuits, efficient heat transfer and a significant reduction in annual maintenance costs. For use in industrial cooling applications. Temperature range -40 to 130°C.